Wino 4 Life: Wine Tip of the Week - Be Spicey! Don't Forget Variety. Wine Tip of the Week - Be Spicey! Don't Forget Variety. 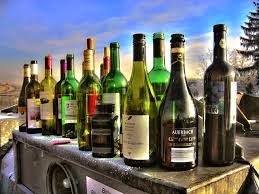 It is very easy to find a wine or two that you really like, and play it safe by sticking to those wines. But like eating the same thing everyday for dinner - you are missing a world of possible opportunities. There is nothing wrong with having a couple of go-to wines that you have often - but avoid the rut and try new wines, and try often. Set a goal to try something new - at least once a month if not more often. Ask for a recommendation at your wine shop based on other wines you like, read about wines, ask friends - there are lots of ways to point you in the right direction... or maybe some Wino4Life wine reviews??? Wine Tip of the Week - Don't Forget Costco! Buying Wine Online....Good or Bad Idea? 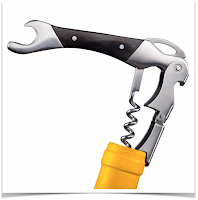 Wine Tip of the Week - Eliminate that Damn Drip!